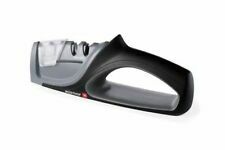 Minosharp Plus 3 Global Ceramic Water Knife Sharpener No.220 Black Red Japan. Sapuro Elite Granton Slicing Knife - 8"
Our knife is made from high carbon steel, can prevent food from sticking to knife body, the chef will have a good experience for himself. 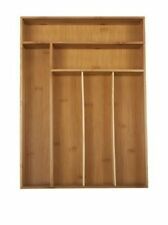 The handle is made up of color wood, which is durable, non-stick and comfortable, to make the chefs prefer to cooking. 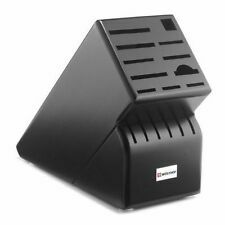 Knife Sharpener Professional Kitchen Sharpening System Fix-angle With 4 Stone II. more flexible to use.can press the knife on the sharpener when you are not skilled.a backer behind. Knife sharpener. 3,The Locks is easier to Tighten the screws by hand,you needn't Screwdriver! Knife Sharpener Professional Kitchen Sharpening System Fix-angle With 4 Stone II. more flexible to use.can press the knife on the sharpener when you are not skilled.a backer behind. Knife sharpener. huge angle of the edge of knife. Stainless steel plate with EVA non-slip base to ensure sharpener security. sharpener placed on the platform, holding a stable non-slip handle, and other handheld knife. 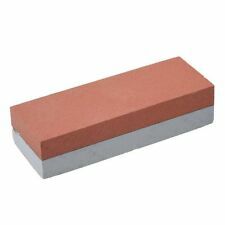 1 x Household Knife Sharpener Stone. The Japanese traditionally used sharpening stones lubricated with water (using oil on a waterstone reduces its effectiveness). They have been doing this for many hundreds of years, and the first stones were naturally occurring. Superiority in details and quality is a high priority. We also have a high-standard QC team, qualified by authorized organizations to ensure products are of the highest quality. It normally takes . SUPERIOR BUNDLE : Your complete knife sharpening kit comes with double sided (#1000/ #6000) premium quality whetstone, bamboo base for holding the stone, knife sharpening angle guideMULTIPURPOSE USE : Our professional grade knife sharpener stone is highly durable & long lasting. 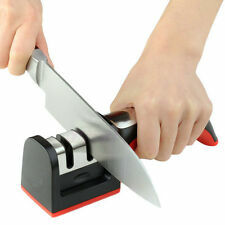 This global whetstone sharpener can sharp any blade out there, be it kitchen knives, Hunting Knife Sharpener, Pocket Knife Sharpener, Scissor Sharpener, Chisel sharpener, Blade sharpener, Razor & it can even sharp a axe!SAFETY : We understand the importance of safety when dealing with sharpening tools, your purchase comes with Silicone base for holding the stone inside Non Slip Bamboo base, this setup will ensure the stone is fixed in one place while sharpening. And knife sharpening . Gotham Steel Pro Cut Knives -Sharpest, Most Precise Knife You Will Ever Own! 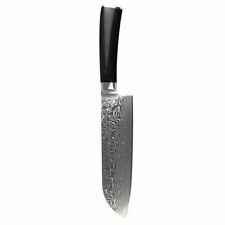 8 " Chef Knife Damascus Steel. This Chef Knife is a all-purpose knife that can used all around your cooking needs. Blade length: 21 cm (8 "). Blade thickness: 1.8 mm. Blade Width: 4.4 cm. High-carbon stainless steel layers ensure exceptional strength, durability and perfect balance. Our knife is with super steel cutting core at German stainless steel, ensures extraordinary performance and edge retention, resulting in exceptional strength, durability and stain resistance. 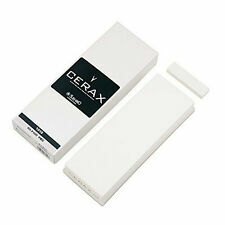 The sharp blade will reduce surface resistance and enhance non-stick properties. 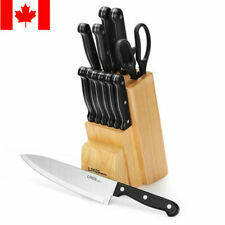 With these safety features, you can sharpen a variety of kitchen knives and other stainless knives. It is engineered to provide astonishingly sharp edges using highly precise knife guides that automatically STOP the sharpener if too much downward pressure is applied. [ Li-ion Battery ]. We do our best for you!! [ Country of Manufacture ]. [ Other Carrier ]. [ Multiple sizes and colors ]. Japan Usage Item. [ Electronics ]. Japanese Warranty Only. ALL shipping Reg. Ins. 14-45days World the best price! More flexible to use.can press the knife on the sharpener when you are not skilled.a backer behind. Knife sharpener. 3,The Locks is easier to Tighten the screws by hand,you needn't Screwdriver! Never Shaking! 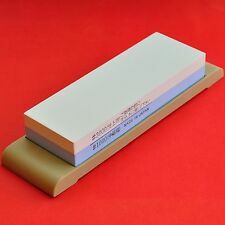 Two kind of sharpening Stone:Orange corundum Whetstone, also known as orange stone, abrasive cutting edges sharp, good finish, high durability, hardness and corundum similar, good toughness, usually better than corundum grinding performance for tool steel, alloy steel, hardened steel molding grinding, especially for a variety of cutting tools, measuring tools, instrument parts for finish grinding of workpieces requiring highGray carbon Whetstone, with high hardness and a certain toughness, hardness second only to boron Whetstone, abrasive sharp, good thermal conductivity, used for optical glass, tungsten carbide, titanium, agate, cylinder liner, bearing steel polishing, sharpening high-speed steel cutting tools, but also for energy originals, ceramics and po. Material: Stainless Steel. Quantity: 1 Pair. Anti-slip design can hold food firmly and steady. By buying from us we consider you have understood and accepted all of our policies. Pointed End Size: 0.25cm/0.1" (Approx.). Luxury Japanese Kiritsuke Knife professional Ghef's Knives. Blade material: imported vg10 Damascus steel. blade length: 210 mm. blade width: 47 mm. Molibao Portable Professional Knife Sharpener Kitchen Sharpening System with 5 Stone Version. This portable knife sharpener kit can precisely sharpen straight-edge knives, and you will be amazed at how quickly and easily it transforms dull blades into extra sharp edges. 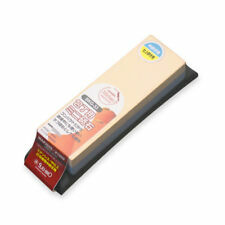 Thick, Solid and Large Whetstone: Made of professional grade white corundum, perfect for the larger chef's knives, gives a nice working area for any size of knife, corrosion-resistant, heat-resistant, edges and corners are clearly demarcated2 Grit Sides Ensure Best Sharpening: 400 grit side has good metal removal rate, light scratches edge. Intermediate stage before finer grits. 1000 grit side leaves metal edge with frosted appearance. Edge sharpness equivalent to majority of factory edges on knives, tools.Suitable for Most Grinding Operations: Kitchen knives, hunting knives, kitchen shears, pocket knife, chef knife, porting knives, straight razor, cutting class knife grinding, precision tool, garden tools, art appliance and ceramic knife, but serrated blade. ※ The ceramic blades can not be ground. Country of Origin: Japan. Middle East. Size: 25 × 3.4 × 1.9 cm. Country of Manufacture.Item are manufactured in other country (China, Vietnam etc) if the item is not described "Made in Japan " on the list. Tomae, Shouhonyama. This whetstone is for finishing, natural whetstone of Kyoto. Hardness: A little Hard, about 4 of 5 ( 5 is the hardest ). Unique sharpening wheel design, convenient tool back and forth grinding. Widely used in Stainless Steel kitchen knives, fruit knife, chef's knife. 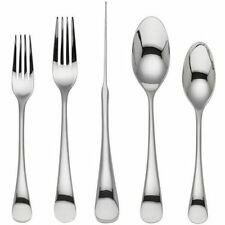 Material: Plastic stainless steel. Color: Red. Due to light and monitors effect, color difference may exist slightly. ✔【Widely Used】XYj kitchen knife block is suitable for near all types of cutlery knife, including pairing knife, vegetable knife, small cooks knife, bread knife, carving knife, steak knife and chef knife. Damascus pattern to improve stain resistance and to prevent food from sticking to knife body. Durability and good balance,combined with resistance to corrosion and elegant Damascus pattern making a knife worthy hands of professionals. Features with small ring cut on the front head, which is convenient for you to take food. 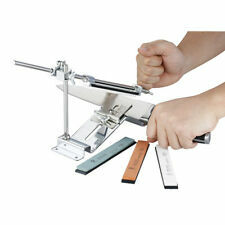 Professional knife sharpener, for different sizes of knives. Quick and easy way to sharpen knife blade. Safety design to protect your hands. More stable sucker disc base. Color ruler to show the accurate knife angle.